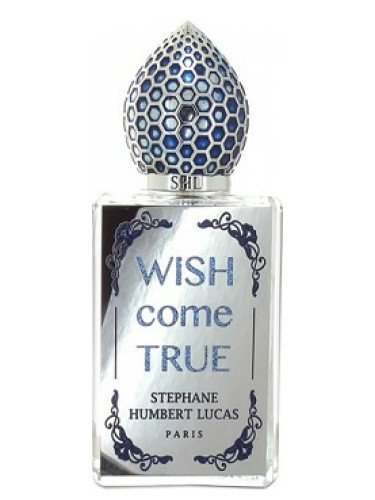 When I first saw the bottle of Stéphane Humbert Lucas 777 Wish Come True, I had no desire to try the perfume. It looks like a weird Christmas ornament on a giant mall tree. I also thought the name was corny. I later put together that this is one of those French brands inspired by the Middle East. So, I think is some sort of “Aladdin”-ish thing. Anyway, I’m happy I tried it because it’s way more interesting than I initially expected. Wish Come True is like a floral incense. It opens with a sparkling, aldehydic liturgical-style incense and mandarin oranges. The incense is like lemon-y frankincense and myrrh. It’s bright and effervescent. Wish Come True has a sweetness to it that is more balsamic than it is foody. It’s like balsamic resins and a boozy vanilla. The white florals are heady and sweet. There’s also pecan pie in this. From a distance, Wish Come True smells like a fruity incense. Up close, it’s like a “cake and pies” incense. I think that’s what I admire about Wish Come True. It’s one of those “shapeshifter” perfumes that changes with distance; it seems to hover over the skin. As it wears, it’s like raspberries, caramel and white florals. I also pick up on something peach-y and like osmanthus. The fragrance dries down to something sweet and toasted. You know how with a lot of incense perfumes, the base is smoky? Well, in Wish Come True it’s toasted. It’s like burnt sugar and dry, desert-like incense. There’s also an amber-musk and creamy, custard-like florals with salted caramel. If a cotton candy perfume could smell straight up like money, it’s Wish Come True. It’s this sweet, candied floral unexpectedly paired with high-end expensive incense resins. This may sound like a wreck, but I think it works so well. The more I wear it, the more it grows on me. I wear it and I get the feeling that I have a trust fund somewhere that guarantees that I never have to work a day in my life. Now can someone tell me how I can get access to this trust? I’m ready for my trust fund baby lifestyle. Notes listed include tangerine, bergamot, ylang-ylang, labdanum, incense, jasmine, ambergris, tuberose, vanilla and musk. Launched in 2017. Give Wish Come True a try if you like the thought of a floral/gourmand incense or a more feminine take on incense perfumes. Or perfumes like Ex Nihilo Love Shot, Mancera Velvet Vanilla, Guerlain Angélique Noire, Profumi del Forte Vaiana Dea and/or Moresque Diadema. It is sweet, so I think you need to be someone that can wear gourmands to like Wish Come True. The 1.7 oz retails for $225 at Osswald. Samples are also available for purchase. Victoria’s Final EauPINION – Candied florals, salted caramel and incense. It may not sound like something that “work”, but I think it does. It manages to be a sweet, candied thing that manages to smell “expensive”. I didn’t even know that was possible until I tried Wish Come True. *Sample obtained by me. Product pic from Fragrantica. Anna May Wong pic from fanpix.net. Wish Come True was not an instant love for me, but knowing my fondness for other SHL777 scents I gave it a weeks’ worth of wearing, and I’m so glad I did! Now I love it even with my incense-phobic attitude. It really grew on me, and I suspect a FB is in my near future. Wonderful review, as always! It’s so good! I have a few bottles of SHL777 because I love his style (rich without being overwhelming). I was so surprised by how much I love this one. It’s such a good incense and not like other incense perfumes.